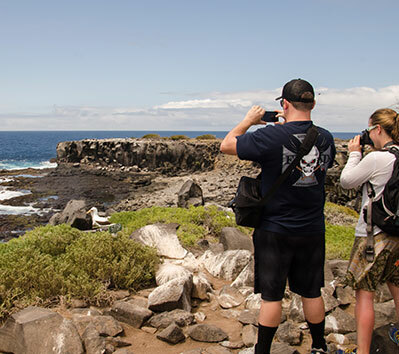 Take our Galapagos Cruise Quiz! Several fine hotels on four different islands offer visitors the choise to sleep on land and take day trips to many interesting Galapagos visitor sites. Interested in an island-hopping program or an active multi-sport expedition? Check out the programs we offer and search hotels by category or island. Not sure what program suits you? Inquire with our trip advisors for a tailor-made program suiting your specific needs!